Parker can go from being the happiest three year old ever, to whining and throwing fits in the blink of an eye. It really catches me off guard. I try adjusting my expectations and listening more closely to his cues, but I can't seem to stay ahead of this game. I try to give him extra special one on one time. 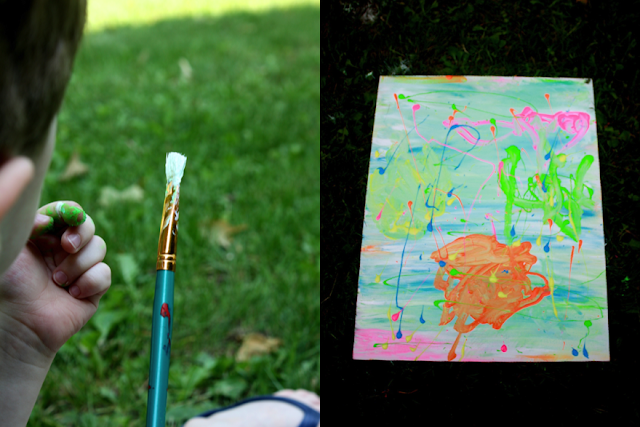 The other day I had planned for Parker and I to paint during Matilda's morning nap. He was excited. But then the whining began. 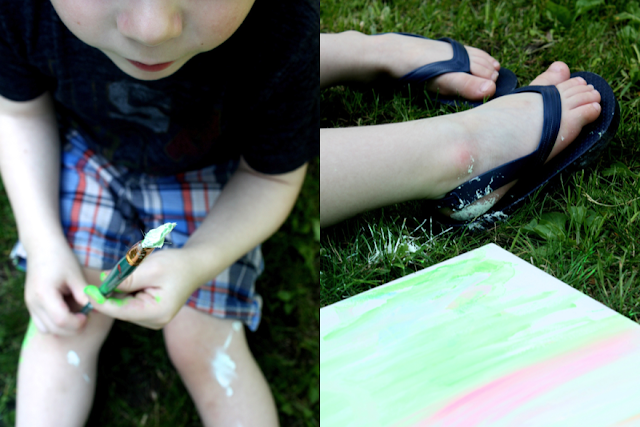 He followed me, pulling on my clothes, standing in front of me, all the while whining and asking if it was time to paint. I stopped and sat with him for a moment. He was content while I sat, but as soon as Matilda needed my attention he was back up again. His whines and the tone in his voice travel quickly to that spot inside me that makes my blood boil. I turned on the TV to distract him so that I could put Matilda to her nap. Shameful, but true. The whole morning felt like a marathon. And for what? 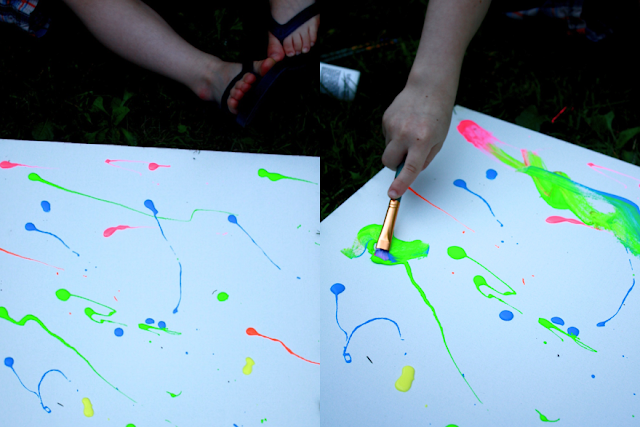 So that we could sit in the front yard and paint. We did not even have fun. Parker was upset because I turned the TV off. He sat, uninterested on the grass. He continued to whine about everything. It was one thing after the next. 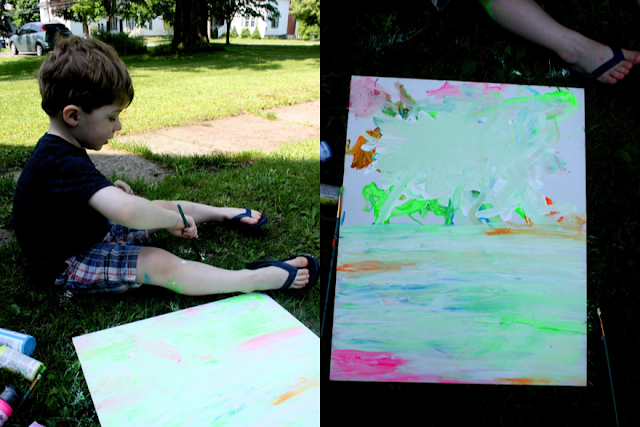 The painting turned out ugly - it matched our mood. 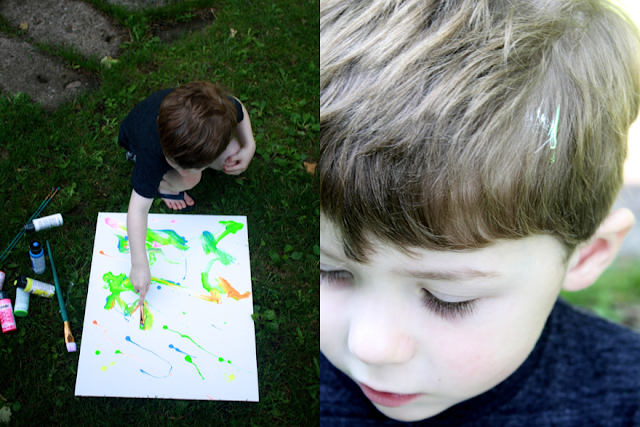 So when Tyler came home and Parker told him all about our painting and the fun we had, with so much excitement in his voice, I was taken aback. Is that what he remembered? That was not what I remembered. I remembered a frustrating morning full of one unhappy boy who could not be pleased. What is with that? What is all the whining about? I know he wants attention and I am trying to give him an appropriate amount. Is he hungry or tired without me knowing? Or am I over thinking things... maybe he is just three.